TAMPA, Fla. /Florida Newswire/ -- When Olivia Norem first heard the narration of the book, "His Viking Bride," she was so caught up in the story she nearly forgot that she is, in fact, the one who wrote it. And this marketer turned author is not the only one who found the audiobook captivating. STUART, Fla. /Florida Newswire/ -- SFS Tax Problem Solutions Press announces the release of the eBook and Kindle Edition of "Now What? I Got a Tax Notice from the IRS. Help!" (B079XWL8P9) by Jeffrey Schneider. "Now What?" is also available in paperback (ISBN: 978-0692997154) and will be published in an audiobook version in June 2018. TAMPA, Fla. /Florida Newswire/ -- Who doesn't love a good buried treasure tale? And this one is even more intriguing because it's the combined effort of a grandfather and his grandson. Co-authored by Patrick Carberry and his sidekick, 7-year old Christian Patrick, 'PaPa and Christian's Great Adventures: The Treasure Awaits' (ISBN: 978-1483480923; paperback), is written in a way that encourages kids to spend quality time with their grandparents. STUART, Fla. /Florida Newswire/ -- SFS Tax Problem Solutions Press announces the release of "Now What? I Got a Tax Notice from the IRS. Help!" 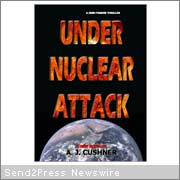 (ISBN: 978-0692997154) by Jeffrey Schneider. "Now What?" is available nationwide today in paperback. It will be published in an eBook edition in March and an audio book edition in June 2018. TAMPA, Fla. /Florida Newswire/ -- The C Diff Foundation announces the release of a nutritional guide, "Nutrition; Managing Meals through a C. difficile Infection" (ISBN: 978-1973304241) authored by Nancy C. Caralla, C Diff Foundation's Foundress, Executive Director and three time C. difficile Infection Survivor and co-author Karen F. Factor, MBA, RDN,CSR, LDN, C Diff Foundation Registered Dietitian during November 2017 Clostridium difficile (C. difficile, C.diff.) Infection Awareness Month. MIAMI, Fla. /Florida Newswire/ -- December 3, 2017 marks the 50th anniversary of the world's first human-to-human heart transplant, notes Mark Oristano, author of "Surgeons' Story" (ISBN: 978-1935953784). South African physician Dr. Christiaan Barnard performed the surgery which astonished the world in Capetown. The patient, 54-year old Louis Washkansky, lived with another person's heart pumping his blood for 18 days. PORT ST. LUCIE, Fla. /Florida Newswire/ -- Motivational, informational and inspirational speaker and trainer Kim Ha Campbell, the author of "Inner Peace Outer Abundance" (ISBN: 978-1457556531) is coming to Christ Family Church at Tradition Town Hall on Tuesday, September 12, 2017 for a book release party and speaking event. ORLANDO, Fla. /Florida Newswire/ -- BioTE Medical President and Founder Gary Donovitz M.D. releases his book 'Age Healthier Live Happier - Avoiding Over-Medication through Natural Hormone Balance' (ISBN: 9780990706458) to kick off the Age Management Medicine Group Conference at JW Marriott / Ritz Carlton Grande Lakes April 23-26, 2015. In satirical account of the GOP, author asks: is Republican Party planning coup d’etat for 2014 election cycle? ORLANDO, Fla. /Florida Newswire/ -- Is the Republican Party planning a coup d'etat for the 2014 election cycle? George L. Fouke questions this in his newly-released book, 'Who is Killing the Republican Party? An Old Professor's Jolly Rant' (ISBN: 978-1502512499). In a satirical account of the GOP, this politically-independent author takes the Republican Party to the woodshed. 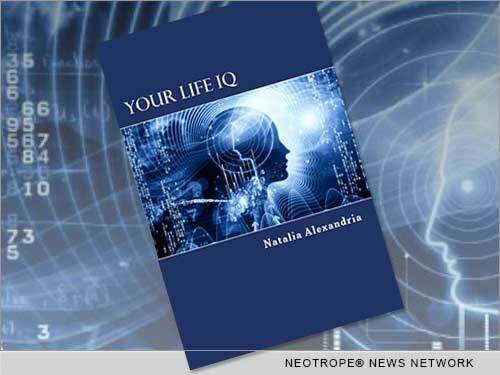 VERO BEACH, Fla. /Florida Newswire/ -- Natalia Alexandria, highly sought-after life coach, unveils her latest book 'Your Life IQ' (ISBN: 978-0578138107). This new book helps readers develop their innate ability to solve life challenges and provides all the tools necessary to ignite a thriving mind-body-spirit. MIAMI, Fla. /Florida Newswire/ -- Many people think it is about time that a children's book was published that has the ability to skillfully instill positive and inspirational values. 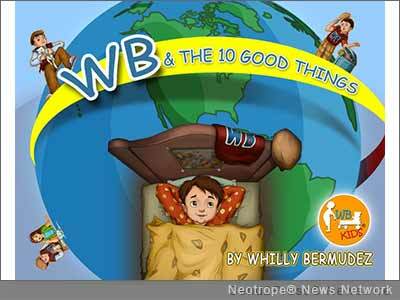 Whilly Bermudez has stepped-up to the plate with his latest book entitled, 'WB and The 10 Good Things.' For children ages 5-8, this is a 'feel-good' book that parents will enjoy sharing with their kids. The book is available from the author's website and also on Amazon as a Kindle Edition. 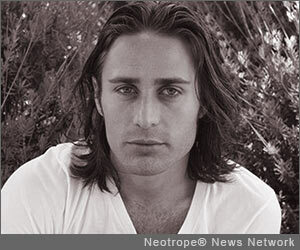 MIAMI, Fla. /Florida Newswire/ -- Available now from Hypothesis Publishing Company is the first-ever next-generation dating book, 'Lion Taming: How Busy Professional Women Avoid the Seven Most Disappointing Suitors and Date Higher,' by Corey Weiner. In store for readers is a concise, info-packed read encouraging women to discriminate - politely that is - in their romantic lives without changing a thing about themselves or manipulating others.